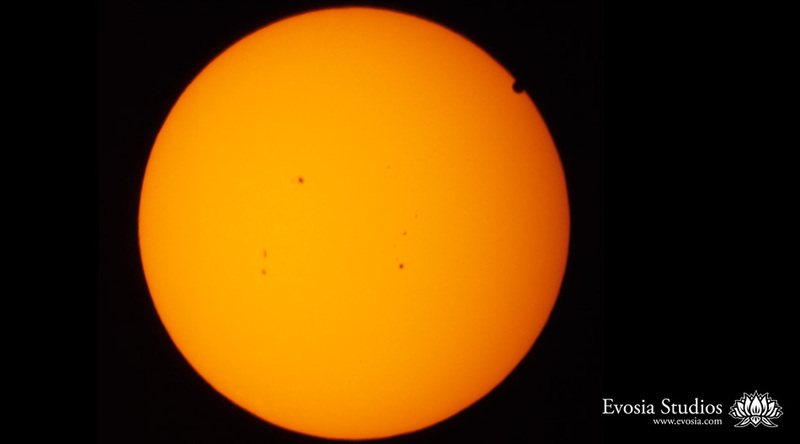 The transit of Venus in front of the Sun is a special event that takes place only a few times per century. The next one isn’t until 2117. The above photo was taken on June 5, 2012 at 3:12pm Pacific time on Mt. Wilson in Los Angeles. You can see Venus just entering into view in the upper right side. I used a Canon 5D Mk II mounted on the back of a Celestron CPC 925 XLT telescope with an equivalent focal length of 2350mm. A white light solar filter was mounted in front of the telescope. Posted on Wednesday, June 6th, 2012 at 1:05 am. Filed under: Landscapes, Photography, Portfolio	RSS 2.0 feed.